Are you the type of person that carries their entire life on their phone? The handy part about owning a smartphone is that you’re able to carry a lifetime’s worth of data in your pocket. But let’s be honest: sometimes your smartphone can feel a bit cluttered once you start filling up its storage. 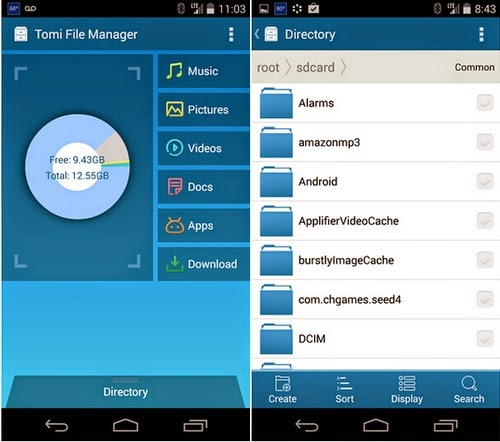 The Tomi File Manager, made by Tomitools, is a free app available on the Play Store that will help you manage the files on your smartphone, and it just might be the answer for those of you looking to have easy access to the files on your handset. Let’s check out the Tomi File Manager. The first thing that I noticed when I started up the Tomi File Manager is how clean and easy to understand the app is. It welcomes you with an uncluttered dashboard page that displays your current hard-drive usage, a directory and links to specific file categories like music, documents, apps and pictures. Inside each category are great built-in management tools to help maintain the files that you’re viewing. Navigating from page to page is fast and I found virtually zero lag in any of my actions. For me this is a big deal, as the Tomi File Manager aims to be legitimate tool for managing my system. Despite its name, the Tomi File Manager does so much more than just managing your files. The app also lets you share files to social media; upload them to cloud services; edit documents with a built-in editor that supports PDFs, Office and text files; play multimedia files within the app; manage and uninstall applications and even create new folders for important files. I especially like that last feature. In the past, it always frustrated me to try to move or copy a file to a different folder on my phone. It was easier to manage the device’s files on my computer than it was on the phone itself. Now I can create a new folder, name it whatever I want and then move files into that folder. It may seem like a small feature, but it makes the world of difference to someone that wants to easily organize their device. The directory at the bottom of the dashboard page gives an overview of your entire file library and also includes a handy search function. If it were up to me, I’d find a way to include the search right on the dashboard page to make finding files even faster, and it would also be cool to see some photo editing options inside of the app just to keep me from leaving. However, these are minor niggles in an app full of features. Tomitools does a lot right with this one, and I can’t wait to see how it improves in the future. 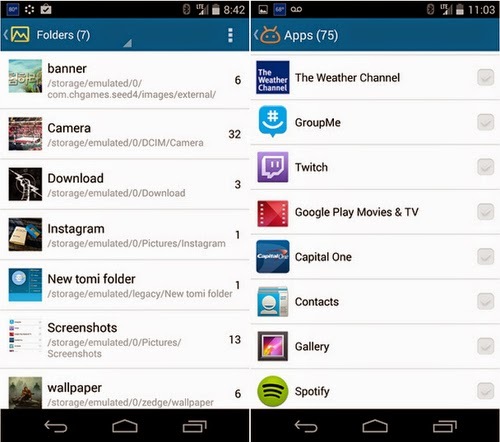 The Good: The Tomi File Manager has a clean look and efficient tools that make viewing and managing your smartphone’s files an easy task. The Bad: The app has a nice text editor but offers little else in terms of editing other files. The Verdict: I’m going to keep the Tomi File Manager installed on my device. It may not be jam-packed full of editing tools, so I’ll need to use other apps for those needs. As tool to view, move and copy my files, though, Tomitools has given me a great solution for my personal device. Be sure to try out the Tomi File Manager for free on the Google Play Store and let me know what you think about the app in the comments below!